The European Union isn’t doing enough to protect the 30 million or so people with rare diseases who live in its 28 member countries, officials meeting last week in Vienna said. 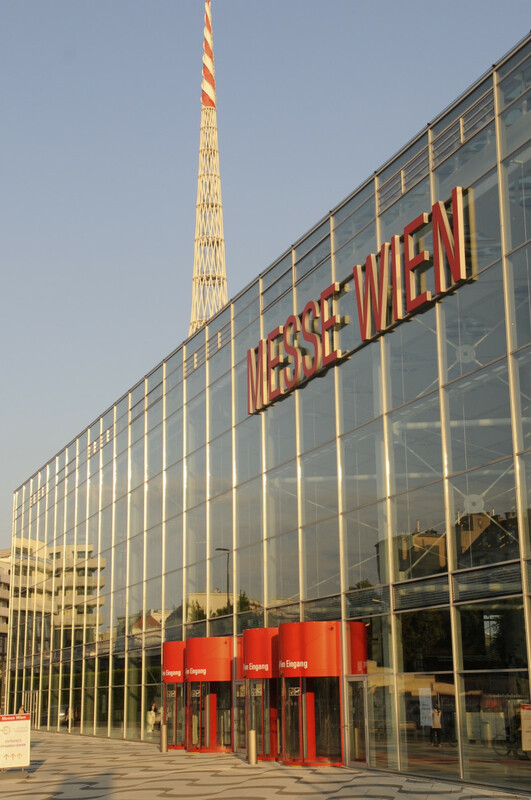 More than 900 people from 58 nations attended the 9th European Conference on Rare Diseases & Orphan Drugs (ECRD), held May 10-12 in the Austrian capital. 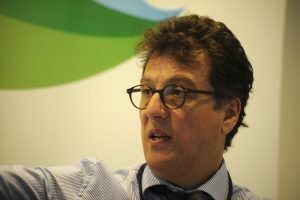 The meeting was organized by Eurordis-Rare Diseases Europe, with support from the Paris-based Orphanet consortium and DIA, a global healthcare association headquartered in Basel, Switzerland. The EU defines a disease as rare if it affects fewer than 1 in 2,000 people. That means 6 to 8 percent of the 512 million people living within its borders have one or more of the 7,000 or so known rare diseases. Lene Jensen, CEO of Rare Diseases Denmark, said EU member states now boast 24 national strategic plans for rare diseases, up from only four in 2008. The expertise is already there, said Ana Rath, director of Orphanet. 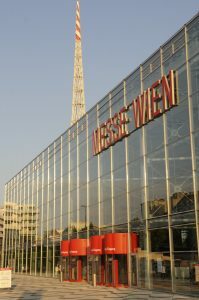 Messe Wien, venue for the Eurordis meeting. 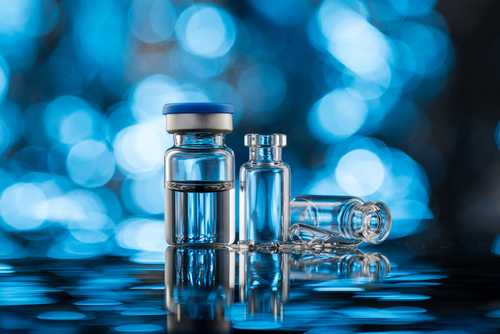 The EU is expected in 2019 to adopt the European Joint Programme Co-Fund for Rare Diseases, which aims to structure rare disease research and create a “bench to bedside” therapy pipeline. But challenges remain for many patients in accessing a diagnosis and treatment, while social care throughout the EU can fragment from one country to the next. Meanwhile, Rare Diseases International (RDI), which began as a Eurordis project, now aims to become an independent organization by mid-2019. 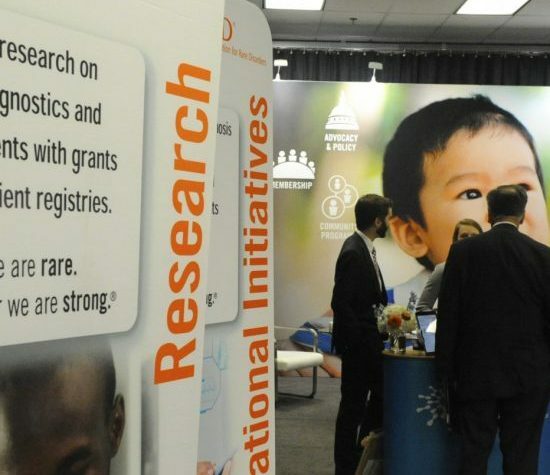 The RDI consortium already counts the U.S. National Organization for Rare Disorders (NORD) among its members, along with NORD’s Toronto-based counterpart, the Canadian Organization for Rare Disorders (CORD). 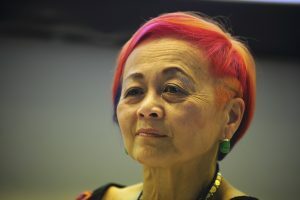 Durhane Wong-Rieger, CORD’s president and CEO, also chairs RDI. 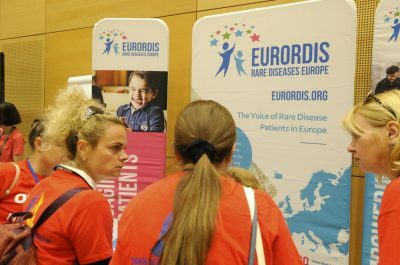 Speaking at a May 10 meeting attended by more than 200 Eurordis officials, patient advocacy representatives and others, she said RDI’s general goal is to be the global voice of people with rare diseases. Canada’s Durhane Wong-Rieger, chair of Rare Diseases International. With this in mind, RDI hopes to get the United Nations to pass a resolution recognizing the importance of helping the estimated 350 million people worldwide who have rare diseases. RDI now has 53 member associations covering more than 100 countries. Le Cam said the group had its first meeting at United Nations headquarters in New York in November 2015, where it “planted the flag of rare diseases” at the 193-member world body. “We are at a turning point in our relationship with the United Nations system. We’re clearly at the bottom of the ladder,” Le Cam said. “We cannot just say we want a United Nations resolution on rare diseases. It’s going to take five years if we work extremely hard. Nothing will be given to us; that’s obvious. Tagged #ECRD2018, European Union, EURORDIS, NORD, Orphanet, rare diseases, Rare Diseases International.